The day I am writing this, I am at Seattle Center, the campus where the iconic Space Needle stands, enjoying the filtered shade on a bench on a 75-degree May afternoon. Pink blossoms from the spring-sprung trees are dropping softly down on my arms and shoulders. I've spent two hours working on my latest novel, and an hour wandering the well-groomed grounds, admiring the works of art strewn generously throughout and smiling at the sight of so many other people enjoying the beautiful, illusory weather while it lasts. I am alone, kidless for this brief period of hours. I am free and thrilled and rested and content. Do fathers feel this way, or is it a culturally or biologically instilled mandate that mothers experience guilt at enjoying time away from their children? Last night I was breaking down in tears from stress. Alrik had a wonderful opportunity (with scholarship!) to attend a homeschool drama class downtown for the spring. It's an incredible program, and we couldn't pass it up for our creatively minded kid when the doors opened for us. But I worried how we would all cope with getting three kids and me up very early and out the door, onto two to three buses for the ride downtown, and then whiling away the time Alrik was in his class before picking him up and doing the bus dance on back. I've had nightmares about those bus rides. It's currently cheaper enough for us to ride the bus (only Mikko and I pay at the moment) to beat parking. Plus, we can stay longer and go on other adventures after if we desire, and we often do. And it makes sense to bring Karsten and Mikko with me so Sam can work and we can play. We have memberships at the children's museum and science center, and there's a fun playground, and soon the fountain will be spraying, and the three of us have a grand time while Alrik's having his own fun in class. But the bus rides. Oh, the bus rides. I have three little boys and a stroller to finagle on and off. I won't recount all the troubles — the little ones falling in the aisles, the stroller tipping as I struggle to fold it, the hassle of finding suitable seats for all of us plus our accoutrements of stroller, bags, jackets, and, after school, art projects and lunch leftovers and who knows what. I won't describe in detail every time I've had to distract a child from singing loudly (Alrik) or screaming (Karsten) or otherwise get in adults' way, or the times I've inadvertently whacked people with the stroller, or the time our drink toppled to the floor, three times in one ride. And then there are the multiple times Mikko and Alrik have raced off at our stop only to have the bus close the doors and start pulling away before Karsten and the stroller and bags and I can follow, and I have to yell loudly for the bus driver to please, please stop. It's given Alrik palpitations. It's given me intense anxiety that lasts well after we're safe at home. I know many things: One is that 95 percent of this is in my head. Buses must accommodate passengers, even if those passengers have little legs and unwieldy contraptions accompanying them. No one has ever said boo to us, and in fact, passengers will join us in shouting for the bus to stop when it wants to drive off, separating our family. But everyone's so quiet and serious and detached on the bus. It's like bringing children into a coffee shop. You ARE allowed to make noise, but you wouldn't know it. I can't help that my whole personality can be summed up as "I hate to be a bother," and that children necessarily break that resolve for me. Another is that we have it easy. Alrik's class is two days a week, for just a couple months. People get themselves and their families up early and commute to work and school every day. I know I'm lazy and a homebody and a night owl and that that's one reason why homeschooling appealed to me. That doesn't make it easy to change. It would be easier if Karsten were just a little older and didn't need the stroller. At near-forty pounds, he's too heavy for me to wear for long anymore with my hips and pelvis shot from three pregnancies. But our bus connections are brief, and the distances we walk between long enough, that it makes it easier to stroll him for now, despite the bus difficulties. So I've been feeling this low-level PTSD over the whole thing, having trouble falling asleep as I mentally rehearse over and over and over just how I might tweak our bus experience to have a smoother ride this time, and how to convince the kids (including a recalcitrant two-and-a-half-year-old) to go along with my ever new and revised plans. 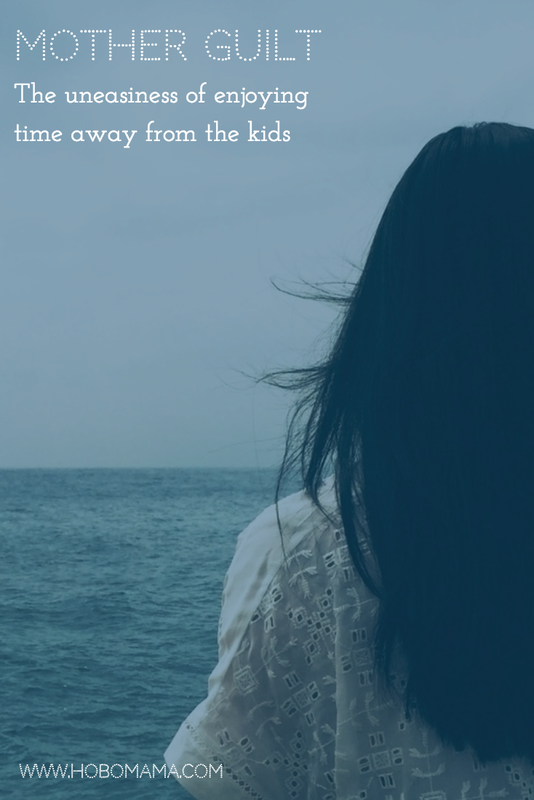 And I'm weary anyway that every night is a battle to get my night-owl children to chill out and go to sleep, and then every morning a battle to rouse them in time to leave. So last night, I was fretting aloud to Sam about my worries for the next day, and how it would be warm but that would just frustrate Mikko, who would want to splash in the fountain, which is still undergoing its seasonal maintenance. And Sam said the magic words, "Why don't you just leave the other kids here? You could relax and get some writing done." I went over the cons of this plan with him, and he batted them all away, so this morning Alrik and I set off alone, mother and son, to a much easier transit experience. "Can we sit in the back?" he asked. Anywhere you like, today, I said, relieved at how easy this bus thing is with one five-year-old and no stroller. We skipped on and off our transfers, no problems, although Alrik yelled a prophylactic "Wait for us! We're leaving still!" to the bus driver, borne of his own anxiety at being left behind. We made it to his class drop-off in record time. Soon he was off my hands, and I was free. I wandered uneasily to the food court. I checked the news on the health care front. I scheduled some tweets and did some pinning. Then, having skipped breakfast, I decided on a salad for brunch. I was filled with a wave of desolation that Karsten wouldn't be there to eat every single olive and half my mushrooms. I saw the bottles of grape soda that Mikko always begged for and nearly wept as I considered buying him one to bring home. This push and pull between taking care of myself and taking care of them. The intense need for time alone, to recharge, to replenish, so I have something to give, at odds with the internal and possibly external expectation that my resources should be naturally bottomless, that mothering IS self-care, because it's what I'm meant to do. In the end, I enjoy my salad with every last olive to myself. I write, I walk, I contemplate. And then I go to greet Alrik with a smile, ready to start again. olive thief on a different day. all to himself after class. How do you feel about time apart from your kids? 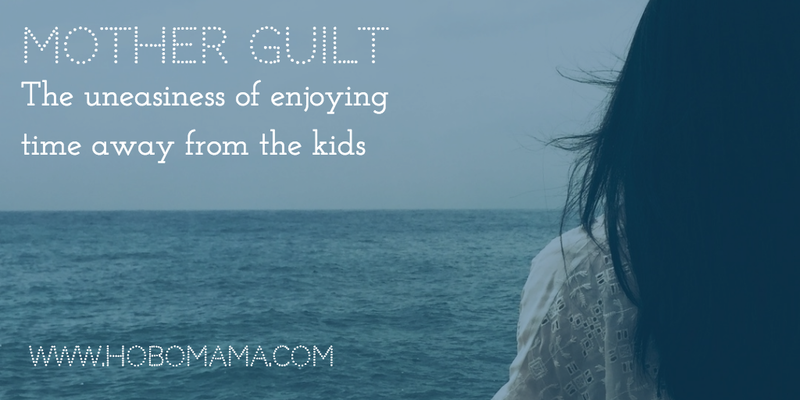 I don't think I suffer from mom guilt as much as some, but I feel it sometimes. Last fall I started working sort of part time, and we put our four year old in daycare. I drive for Uber, so my hours are completely my own to make, and when I have a slow day I feel guilty that I'm sitting in my car reading while he is at daycare. This was especially true in the beginning. I have mostly found peace with it because he's learning and playing with other kids, and time away from each other means we appreciate our tine together more, but still. Some days I really miss those years I had with both of my kids at home. Your feelings here are very familiar to me! I work full-time outside the home, so I am away from my kids a lot, and I tend to feel obligated to make up for that by being with them ALL the rest of the time! My partner does not feel this or understand it; in fact, he is calmly certain of his right to work freelance from home even if he isn't earning much, while I pay for childcare so that he can be home alone, and then sometimes to ask for more time alone when we're all home. He boggles my mind--but it's not really that he thinks he deserves things I don't; it's more like he assumes if I'm not making plans that are easier on me, it must be because I want to do it the hard way or haven't thought of all the options. There have been many times when he "said the magic words, 'Why don't you just...'" and I've been so relieved to feel that I have permission to ask more of him and go easier on myself! I wish I didn't feel like I need permission. I have done a lot of bus commuting with my kids, but they are 9 years apart, so I never had two little ones to manage at once. I also never had to drag a stroller onto the bus, because they both were good walkers by about 35 pounds and I was able to use the sling until then. I think that your trips with just Alrik will be a great bonding time, which middle children are supposed to need especially. The time to yourself is good for you, too! I enjoy eating in a restaurant alone and reading, and because of work I get to do that every week or so. I'm kind of used to it, but when I went back to work after each maternity leave and after being unemployed, it was hard to enjoy the treat because I kept thinking about what my kids would eat or what they would notice in the restaurant. 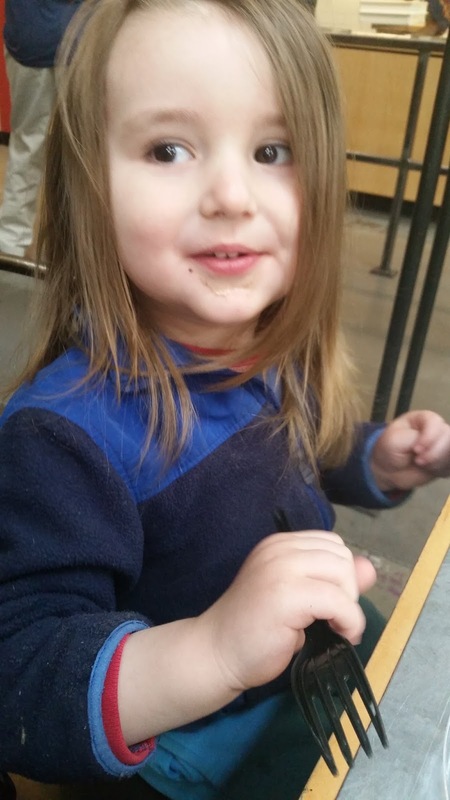 In particular, while unemployed I was taking Lydia (who was 2) to a weekly playgroup followed by lunch at Panera; there's another Panera near my new job, but I didn't go there for a while because I knew I would get all choked up eating a "soupy bread" without her! So yeah, I hear you! The guilt is silly, but there it is. @Olivia: That is really interesting. That must be part of why it feels off to me, since I freelance as well, so it's really my own choice to be devoting time to something else. Thanks for sharing! @Rebecca Stallings: Ah, I've been thinking a lot lately about the difference in mental awareness between moms and dads. Not all moms or all dads, but, yes, that general trend from men of "Of COURSE I can have time to work, and time to myself," and the latent guilt from women of "I should be doing something for somebody else right now," or maybe even everything for everybody else. I agree with the time one-on-one with Alrik. I do think it's special and needed. I've enjoyed any time I'm able to have a "mom date" with just one kid. "Soupy bread"! How adorable. I was so happy to hear that you understood that goofy feeling of despair that our kid is missing out on some treat, ha ha! I came back to reread this because I was thinking again about, "Why don't you just..." On the first reading I understood what you meant about these being the magic words that give you permission to choose an option that's easier on you, harder on him. But I've been realizing that this is another form of something my partner does a lot with the kids: "I don't understand why you did that," followed by explaining the negative consequences, never allowing the kid to SAY why he did it and thus help Daddy understand. It prevents him from using the X, Y, Z method of discipline that's been so effective for me. I think one of the reasons he has so many conflicts with our older child is his attitude of not understanding and not caring to understand. I feel this myself sometimes when he says, "Why don't you just..." I feel that he's blithely refusing to understand the many reasons why not, the many things that stop me from treating myself as well as he treats himself (one of which is, "Because I'm trying to make things easier for you because you obviously expect it of me, you jerk! "), and the "just" sounds like he thinks it's simple for me to suggest this option when he Ought To Know By Now that it isn't!! I got a double whammy this weekend: My partner goes to a weeklong camp each summer; I drive him there and back so that I can use the car with the kids all week. Long story short, we changed the drop-off trip from Friday evening to Saturday morning because of weather, but then he wasn't ready to leave until 4 hours later than agreed because he was completing some freelance work. It's a 3-hour round trip that often takes longer. So, instead of having Saturday to do stuff with the kids at my discretion, I was waiting out multiple delays in the morning and then driving all afternoon. In the morning, my 12-year-old son said, "Why don't you just tell him that because he wasn't ready on time, you won't drive him?" I explained that I didn't want him to take the car because I needed it, and I didn't want to endure the angry scramble if he had to try to find someone else to give him a ride (with camping gear that fills the car) at the last minute. Then on the way to camp, as I was patiently explaining to my partner why I felt I was at his mercy here, he said, "Well, you could have said no, and I would have been happy to rent a car." There are like a million and twelve reasons why I wouldn't expect him to do that and be happy about it! To cite just one, when we were in a car accident two years ago and I was the only one injured and I was still working full-time anyway so I thought he should be the one to drive the car to the repair shop and get picked up with the rental car after I had made all the arrangements for this, he was angry and resentful simply because this "took time out of my day" and was a little annoying. I expected that if I refused to drive him to camp, I would be "punished" by his behavior and feel guilty that I wasn't helping, and he would be "in the way" of my enjoying time at home with the kids for even longer. So I'm wondering if you hear things this way, too, if "Why don't you just..." is not always a relief because, in addition to giving permission, it has a connotation of, "Duh, it's simple!" applied to something that for you isn't simple at all...and if one of the reasons it isn't simple is that refusing to do everything to help everyone often-enough has negative consequences for you. It wouldn't let me post a link to my article about the discipline method. Let's see if I can just paste the URL?